This is the Website of the Underwaterrugby and Underwaterhockey Teams from the University of Giessen and the Website for Underwaterhockey in Germany. UWR-UWH Giessen supports the privatly initiated "Aid for Aceh"
First German UWH Championship On the 17. November 2007 the first german UWH OPEN Chamionchips will take place. Link to the UWH-WC 2006 (there is more than just soccer) This site also contains general information about the sport. On 08.10.06 at the Tauch-Sport-Club Bietigheim e.V. we will have an UWH-Seminar. On Sunday the 11.06.06 at the TC Pulpo Wiesbaden we will have an UWH-Seminar. On saturday evening the 13.05.06 we had two UWH-Seminars following each other at the TSC Laubach. Around 12 Kids were introduced to this sport and had great fun. The older ones came afterwards and fighted likewise enthusiastic for the puck. It all was very successfull and more activities are planed. 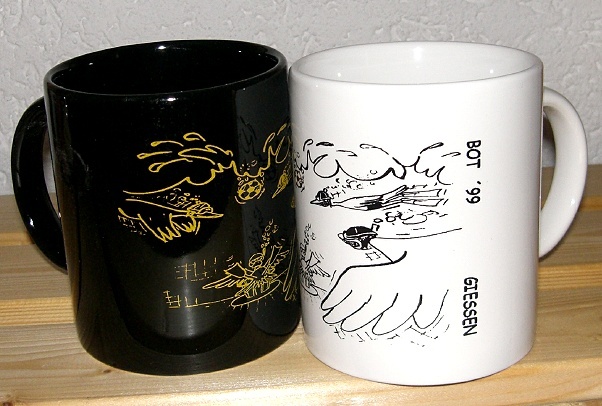 On Saturday the 06.05. teams fought for the third time for the Bier & Brezen trophy. Results: 1. Budapest, 2. Munich Men, 3. Strassbourg, 4. Schlickteufel Elmshorn, 5. Munich Girls. The after-tournament party was incredible! On Monday the 24.04. in Usingen we held a second UWH-Seminar. On friday the 21.04. we held a UWH-Seminar in Kassel. On the 26.03.2006 we had a UWH-Seminar in Karlsruhe, Baden-Württemberg. After the UWH-Youth-Seminars in Hesse and Saxony, we held a seminar for the National-Youthseminar for our national federation (VDST). Seminar at the diving club and DLRG (german life saving organisation) in Usingen. TNT München wanted to start in Kranje with additional players from Kassel and Giessen. A colorful, demonstrative introduction for all interested people. Only in German but can be translated on request. New Indicator "Ablaufrichtung" for the Flick and pictures of the full "Mission-Crew". The perfect present for all UWR-Fans.